Azam Shah (1653-1707), the third son of Aurangzeb, governed Gujarat from 1701-1705. 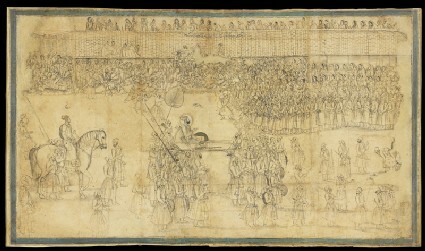 Arriving in the city of Ahmedabad, he is carried in a palanquin while his son Wala Jah follows on horseback. Townspeople, women and children throng the street above, and quarrels break out as people scramble for coins thrown to the crowd. 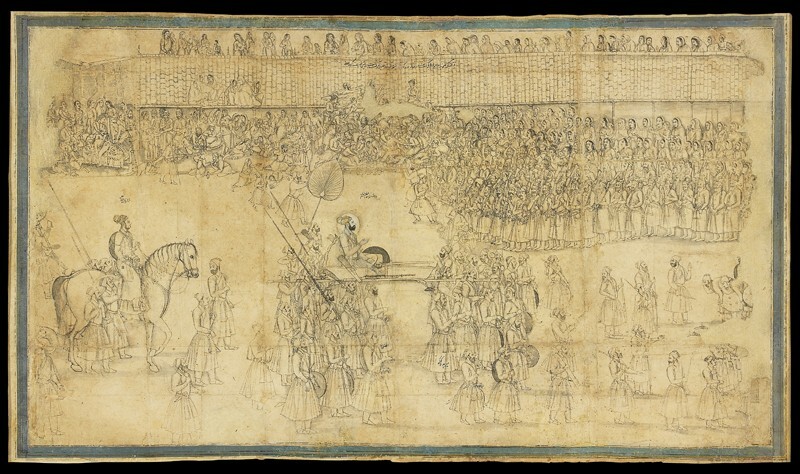 This remarkable drawing is attributable to Chitarman, later the leading painter of the emperor Muhammad Shah (r.1719-1748).